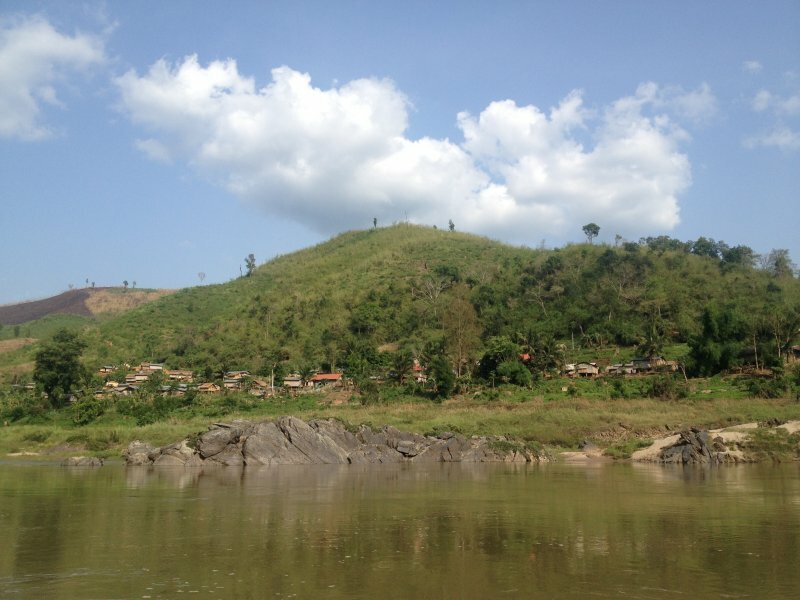 You are here: Home / Southeast Asia / Laos / How Much Does It Cost To Travel Laos For 14 Days? Laos was the 7th country I visited on my 5 month trip around New Zealand and Southeast Asia. It’s a beautiful country, mountains, lots of jungle, pretty waterfalls and amazing temples. It’s also a country with an impressive history, a history I knew too little about before visiting the COPE center in Vientiane. I only traveled in the Northern part of the country, visiting Luang Prabang, Vang Vieng and Vientiane. But there is much more to see, like the Bolaven Plateau and Si Phan Don (also known as the four thousand islands) so plenty of reason to go back;-). Laos is not an expensive country, in the budget breakdown infographic below you can see how and how much money I spent during my 14 days in Laos. 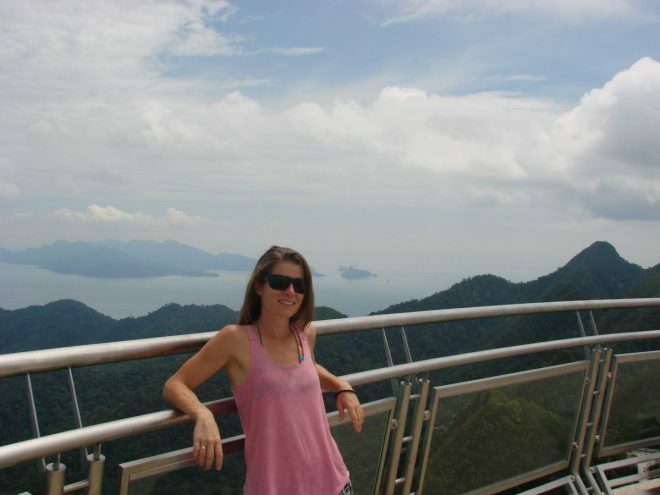 • I traveled around Laos with my husband, all expenses are for the two of us together. • We spent 14 days in Laos, entering the country at the Thai/Lao border near Huay Xai and exiting by train via the Thai/Lao Friendship Bridge near Vientiane. • I quote prices in the Laotian Kip (LAK) as well as € and $. When we were in Laos (April 2015), €1 was approximately 9000LAK and $1 around 8000LAK. • In total we spent 7.154.000LAK / €798 / $896 in the 2 weeks we spent in the country. 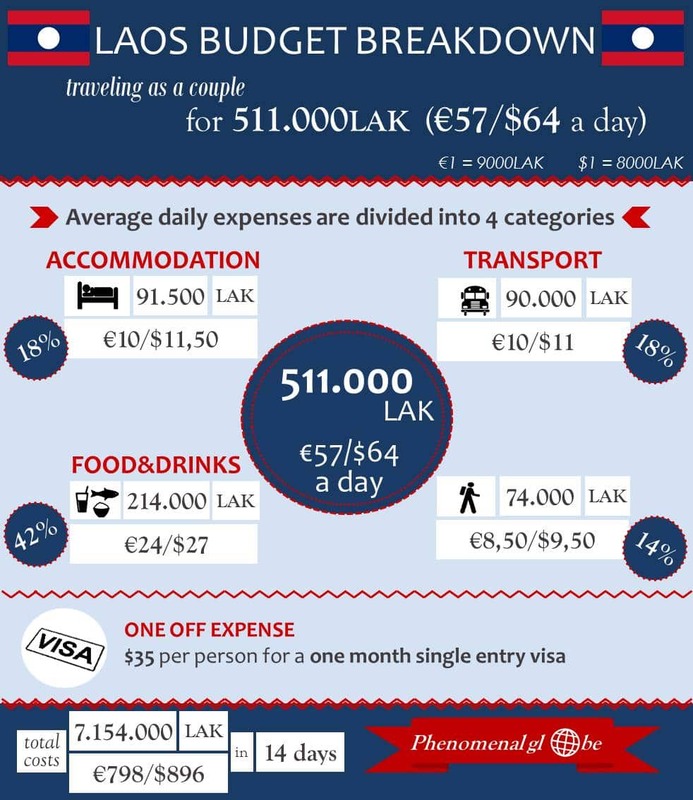 This comes down to an average travel budget of 511.000LAK / €57 / $64 per day. 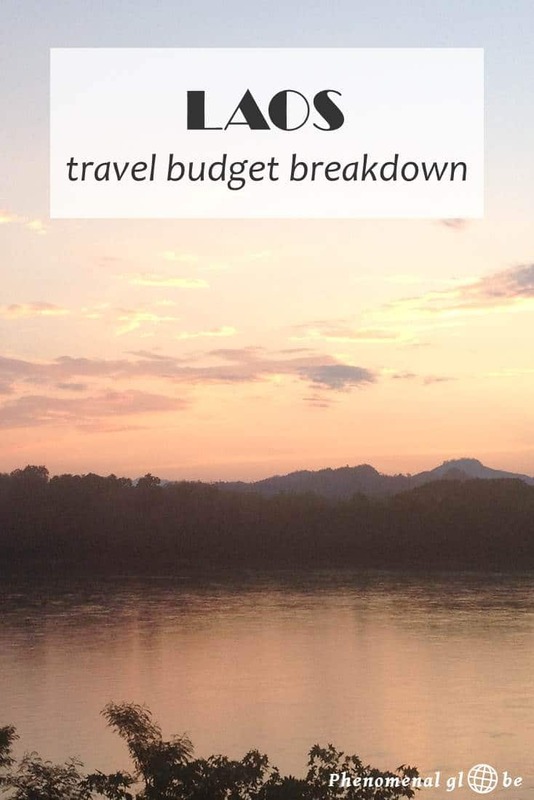 This budget includes all our expenses in Laos, plus transportation costs to Bangkok (we took the night train). These categories add up to 92%, the other 8% is attributed to the $35 1-month single entry visa that we bought to enter Laos ($70 for two people, which is around $5 / €4,50 / 41.500LAK a day). We stayed at six different hotels during our 2 week trip around Laos. On an average travel day, we paid 91.500LAK / €10 / $11,50 for accommodation. This adds up to 1.281.000 / €140 / $161 spent on accommodations in total. In the table below you can find the hotels I stayed at in Laos (only the ones I recommend!). 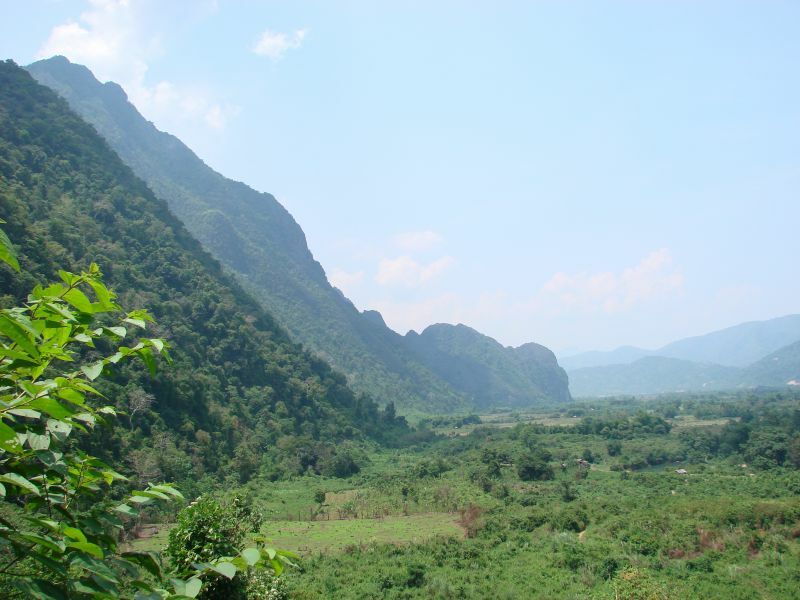 You can find more details about our accommodation in my 2 week Laos itinerary. Getting around in Laos was not expensive, but it took some getting used to. 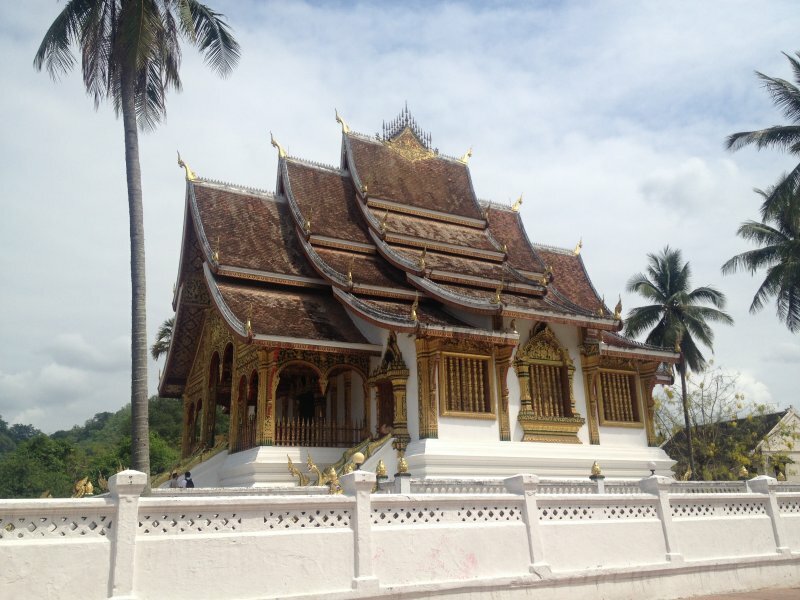 Check my 2 week Laos itinerary to read why it was a bit of a hassle. Transportation costs were 90.000LAK / €10 / $11 on average per day. The total transport costs for 14 days were 1.260.000LAK / €138 / $154. View from the slow boat from Huay Xai to Luang Prabang. An excellent way to see a part of the country while being transported from A to B at the same time! The food in Laos was good, though not my favorite in Southeast Asia. But maybe I didn’t eat the right dishes or didn’t find the right spots. Anyway, it wasn’t expensive (if you don’t eat too much Western Food, that always triples the price for dinner?. On an average day we spent 214.000LAK / €24 / $27 on food and drinks. Total costs for food and drinks were 2.996.000LAK / €336 / $378. 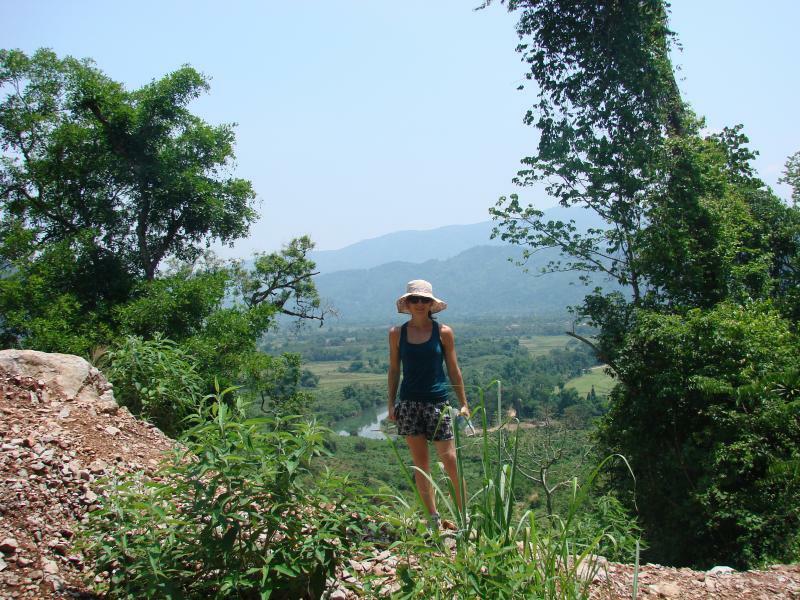 My trip in Laos was all about cool outdoor activities such as mountain biking to the Kuang Si Falls, cycling around Vientiane and kayaking and hiking in Vang Vieng. Our average costs for activities was 74.000LAK / €8,50 / $9,50 per day. Total costs for all our activities in Laos were 1.036.000LAK / €119 / $133. That’s everything about our Laos travel budget, a beautiful country with laid back people and lots of things to do! Also, yes there are tourists but not heaps of them as is the case in some areas in Thailand. Altogether, I totally recommend visiting Laos! Seems like prices in Laos haven’t gone that much up as I expected in 2008. Our day budget back then was only 10 Euros less and we spent a full month, so were probably traveling a bit slower, usually being a bit cheaper.